Daughter of Jones Marshall Randall, Sr. and Mattie Lois Watson, Helen Cecil Randall was born on Mar. 6, 1918, in Lavonia (Franklin County), Georgia. 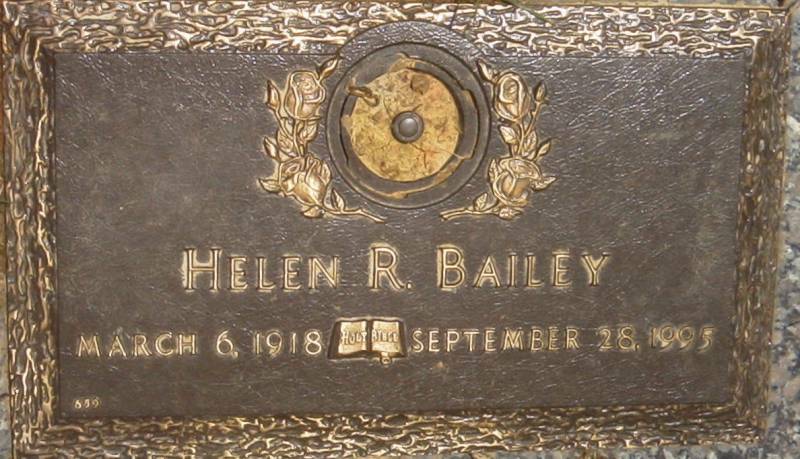 Helen Cecil Randall married a man named Bailey. Helen Cecil Randall died on Sept. 28, 1995 (at age 77) in Forsyth County, North Carolina and was buried at “Floral Garden Memorial Park”, High Point (Guilford County), North Carolina. Helen Cecil Randall (Mar. 6, 1918 - Sept. 28, 1995).